The English philosopher, Thomas Hobbes, described the world as composed of autonomous, competing self-interests. We are at war with one another, a reality, he said, that can only be controlled through external force. The state serves as the enforcer of a negotiated peace agreement, a social contract, in which we legitimize its use of force in order not to kill one another. Hobbes himself preferred a strong monarchy. Certain times in our culture feel more “Hobbesian” than others. In a conversation with a young friend, I was told that “politics is the only way to get anything done.” This is not true. Politics (the use of civil power) is a means to gain the upper hand in a Hobbesian struggle. It is war, fought by other means. 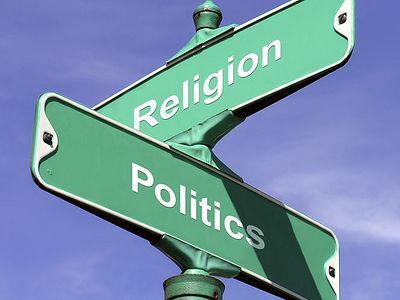 It is for that reason that politics is a questionable activity for Christians. The victories achieved are often brief, and, depending on the opposition, only maintained by the continued use of force. It is profoundly the case that civil (or military) force are not the tools of the Kingdom of God. It is among the many reasons why the Kingdom of God is not, and never can be a human project. The Kingdom of God is not a process or a progressive movement within history. The Kingdom exists utterly complete and finished. Indeed, this is the very point of the Kingdom. It is the will of God in its fulfillment, the true righteousness where everything has been (yes, has been) set right. The Kingdom of God is the End of all things, the fullness of the age to come. What is little understood is that its “coming” should be thought of as its “touching” or “penetrating” our present age. And where that penetration occurs, its reality is made manifest. In Jesus Christ’s earthly ministry, the Kingdom of God was personally present. Everything that surrounded Him, His miracles, His teachings, were manifestations of the Kingdom of God. What Christ brought was not a set of ideas to be shared in the Hobbesian conflicts of this world. What He brought was the Kingdom itself and the means for our entrance into that Kingdom and for its life to be manifest in us. It has become commonplace for modern Christians to espouse some ideas based on Christian “moral principles” and to make them the guiding light for political projects, sometimes saying that they are “building up the Kingdom in this world” (or words to that effect). If they could build the resurrection of the dead, then their words would have meaning. But they cannot. There is nothing in the character of the Kingdom that can be achieved by human efforts. Nothing. It is this transcendent, eschatological life of the Kingdom into which we are Baptized, and it is its very life that is birthed in us. That new life is nothing less than the life of Jesus Himself. Learning to live from within that new birth of life is the proper nature and character of the Christian life. 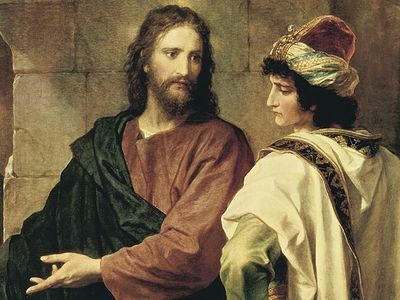 Christ did not come to reform the world: He came and brought a new world with Him. When the Christian life is reduced to moral and political principles, it simply becomes one more warring voice within Hobbes’ nightmarish description of life. This is true regardless of how noble our intentions might be. This is also deeply frustrating for us. The Christian life as moral and political principle does not require anything more than new opinions. It masquerades as renewal and change when it is nothing more than the same war fought by unbelievers. St. Seraphim of Sarov famously said, “Acquire the Spirit of Peace and a thousand souls around you will be saved.” He could have added that without that acquisition we cannot do anything of note for even a single soul. Christ says to Nicodemus, “You must be born again (or born from above).” This is not a reference to an emotional experience of conversion. It is a reference to the Kingdom of God birthed in us through Holy Baptism. The Christian life is that which is “born of the Spirit.” The strange paradox that marks the commandments of Christ is a key to this manner of life. It is in the life of obedience to Christ’s commandments, in the fullness of their paradox, that we are thrown into a radical dependence on the Spirit of Peace, the Kingdom of God birthed within us. This is not a slogan for anyone’s political agenda. It is nothing other than the proclamation of the Kingdom of God. It is inaugurated (already) in the hearts and lives of faithful believers, manifest in the lives of the saints. Thousands of souls around us stand weary and hungry for salvation. Acquire the Spirit of Peace. 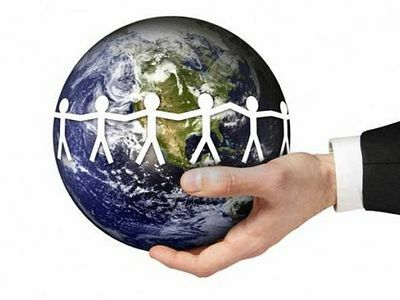 The modern project holds that the world can be improved and made better. It also holds that human beings can be improved and made better. And finally, it holds that the means of that improvement and betterment are political. Divided by Politics or United in Christ? Fr. James Guirguis Divided by Politics or United in Christ? I find myself in great agreement with the writer of this article!! We are called to be in the world yet not of the world. Yet the world pushed by satan never ceases to try to gain entry into and corrupt everyone and every thing, especially the Church of Jesus Christ!! We have to stay close to the Shepherd and stay in fellowship with Him and His saints. As far as the outside world we are responsible to be salt and light to it, and to a certain extent that may require us to be involved in it in some capacity, but in so doing we must always be extremely careful. Our ultimate responsibility is to God and to His Kingdom. Amen!! Meh. To me the writer commits the same fallacy as those in the court of the Sultan, who told Constantine the Philosopher (later known as St Cyril, apostle to the Slavs) that Christians, in fighting them, disobeyed Christ, who said not to resist evil. St Cyril said that Christians in obedience to the Gospel, forgive their own enemies and do not resist them, but the other commandment is to lay down ones life for ones friends, to save them. For this reason, the enemies of the Faith, and of the civil order, are fought, using violence where necessary. St Philaret of Moscow said it this way: love your enemies, vanquish the enemies of the fatherland, and despise the enemies of God. Really one of the best articles written on Orthodoxy in a long time.